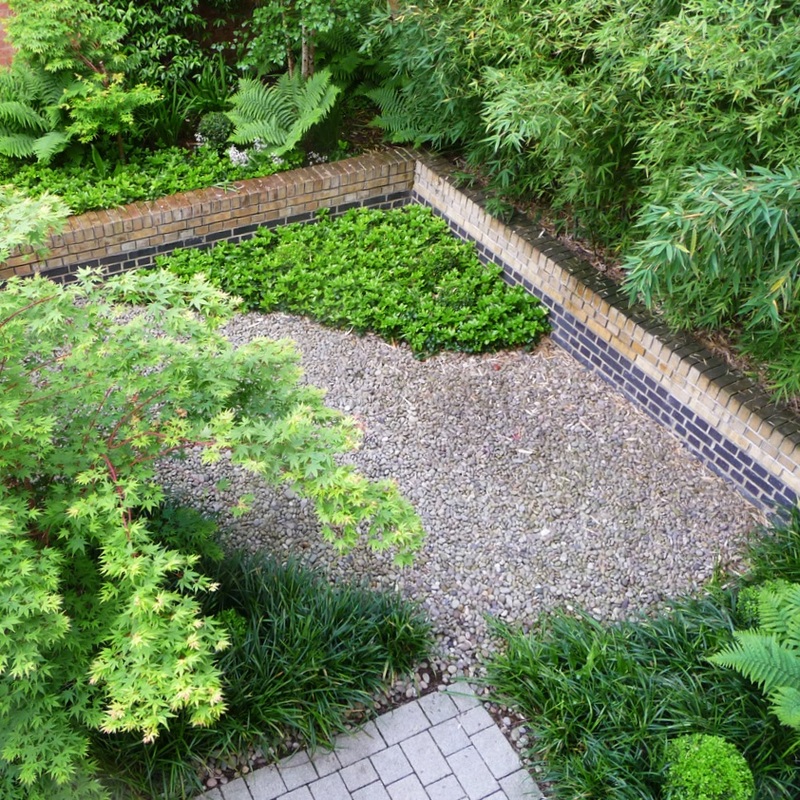 I work with clients on all kinds of landscapes: gardens large and small, on rooftops and on the ground, contemporary and heritage, in cities and rural locations. I also work with architects to integrate buildings and their surroundings and on green roofs. As a designer I know my materials because I have a deep grounding in plants and horticulture and remain a keen gardener. I understand how gardens and landscapes unfold in time. I work with clients to realise their ideas for a place. Starting with a survey of the site, I translate the original idea into a sketch design, then detailed detailed design drawings and the tender package for pricing the work. Working with landscape contractors, I then manage the construction and planting to completion. I design and specify hard landscape including paving and sustainable drainage, steps, walls and other landscape structures. Plants are my passion. I create planting schemes with a sense of place and a feeling for ecology that will look beautiful all year round with minimal maintenance and energy inputs. I understand green roofs because I have specified and installed several with my own hands, including on my own house. 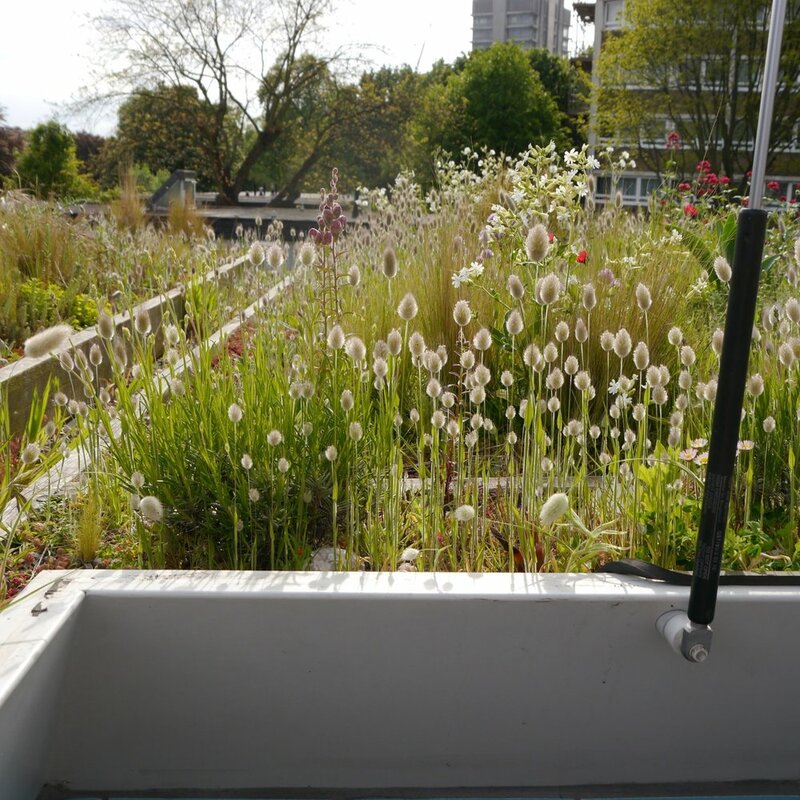 I work with architects to design, specify and install green roofs on new and existing buildings. A green roof insulates the building underneath from temperature extremes, prolongs the life of the roof, stores and delays rain runoff, intercepts pollution, provides a home for plants and animals and gives beauty to humans in unexpected places. Landscape design is more than just design. Gardens and landscapes exist in the fourth dimension of time and never stand still. I help clients to plan the short- and long-term management of landscapes in order to realise a vision for a place and make the most of available resources.